ROCHESTER, N.Y. -- U.S. Attorney James P. Kennedy, Jr. announced today that Laquan J. Simmons, 26, of Rochester, NY, who was convicted of being a felon in possession of a firearm and ammunition, and possessing of cocaine with the intent to distribute, was sentenced to 57 months in prison by U.S. District Judge David G. Larimer. Assistant U.S. Attorney Katelyn Hartford, who handled the case, stated that on June 8, 2017, on Wright Terrace in Rochester, Simmons possessed approximately 12 baggies of crack cocaine, with the intent to distribute it to others. The defendant also possessed a loaded 9mm semiautomatic handgun in his pocket. Simmons was previously convicted in 2015 of Criminal Sale of a Controlled Substance in the 5th Degree, a felony, and is legally prohibited from possessing a firearm. 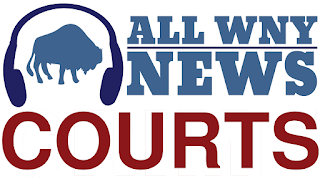 The sentencing is the result of an investigation by the Rochester Police Department, under the direction of Chief Mark Simmons, and the Bureau of Alcohol, Tobacco, Firearms, and Explosives, under the direction of Special Agent-in-Charge Ashan Benedict.